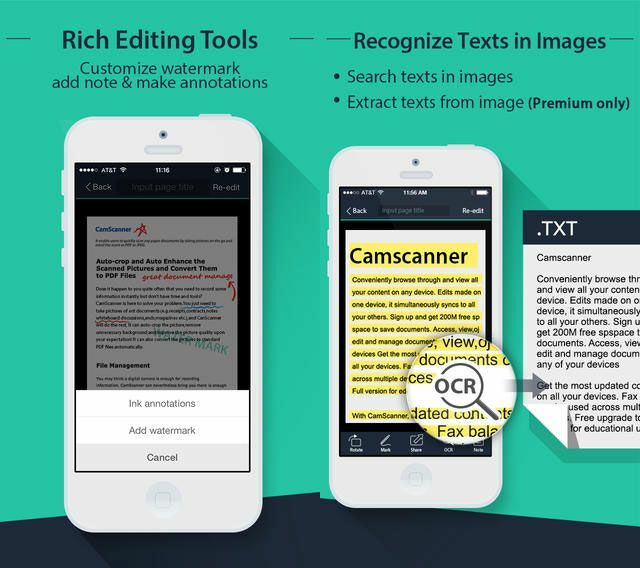 The iPad is an awesome device for reading e-books and PDFs, but for studying purposes you will benefit more from a feature-rich app for annotating and reviewing content. 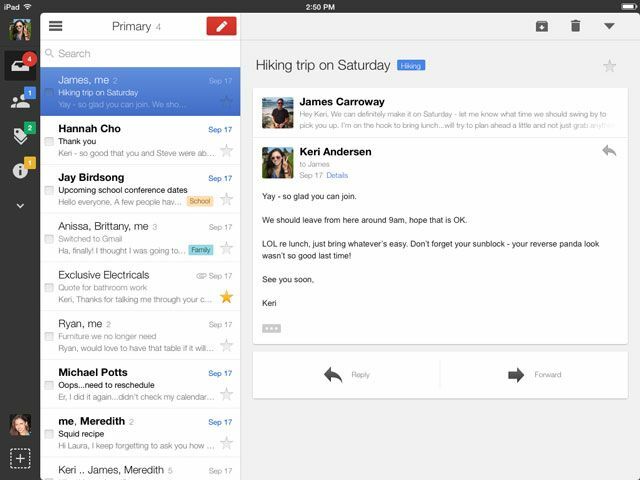 MarginNote provides a unique way to view a document and your notes at the same time. 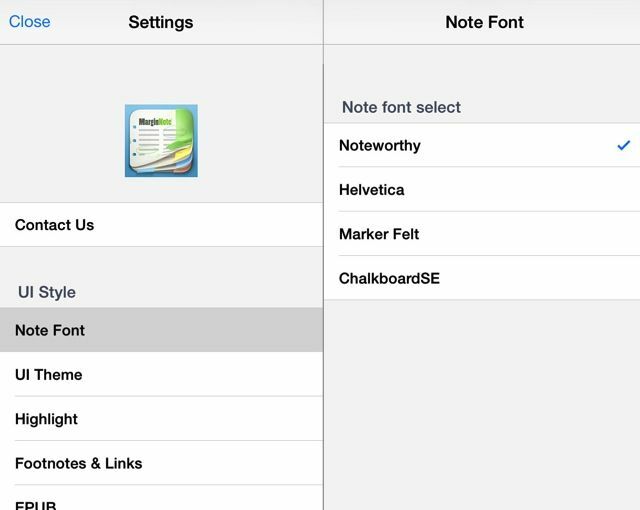 We have reviewed useful PDF reader apps for the iOS, including the classic iAnnotate and PDF Expert 5 (reviewed here), but MarginNote takes a different approach to by actually putting notes and annotations directly into the margins of your chosen document. PDFs and ePub documents can be imported into MarginNote from your Mac or PC using iTunes File Sharing, via Wi-Fi, Dropbox, and from the app’s built-in web browser. All documents are saved to the home bookshelf, which makes them directly accessible without additional tapping. Some users however may wonder where the ability to organize documents into folders went. The top half of the homepage also includes previews of recent annotations from documents, which may be useful for quickly linking to specific content. And there’s also a convenient help document (“i” button, top-right), and options for changing UI style, including fonts, the app theme (between white, sepia, or gray) and options to hide empty notes, footnotes, and links in the margin feature. To highlight content, hold and drag your finger across the text you want to highlight. This works similar to most PDF and eBook reader apps, but I find the highlighting feature a little tricky. If you hold your finger down too long, the tool quickly changes to the rectangle highlight. It seems to work best when you swipe across the text and then quickly lift your finger. 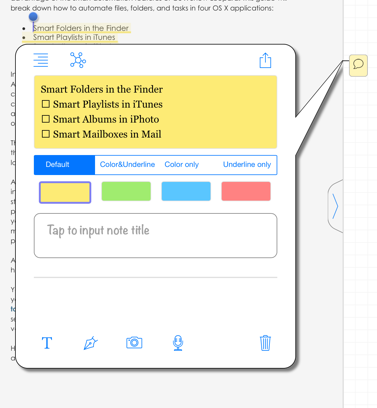 The rectangular highlight, which can be adjusted, provides access to another set of tools, including a pen tool, a text field for typing notes, and an eraser. 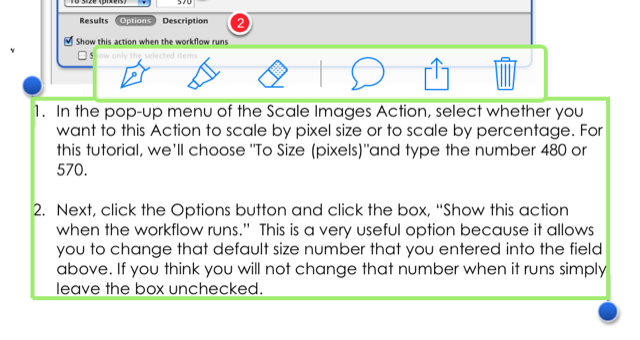 These tools are for making annotations within a rectangle. Selected content can also be exported to email, Messages, and Twitter. A link to selected content is added in the “margin” of the document. You can customise labels and color code your highlights, as well as add audio annotations, images from your camera roll, and text notes. This margin feature makes MarginNote a powerful tool for users who need to review and study highlighted content and annotations. But app includes even more features for this purpose. When you tap the review button (top-left), all of your highlights and annotations appear on a separate page where they can be rearranged in the hierarchy, in a sort of “outline” form. One or more notes can be indented under a note, and you can swipe a note all the way to the right to delete it. And of course, each note is a link to the original source in the document. 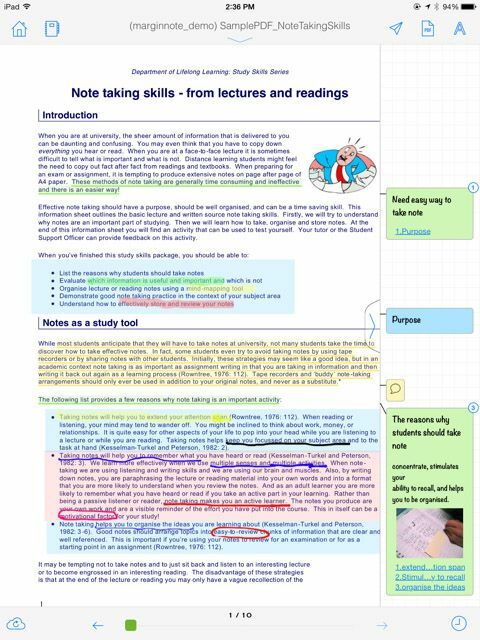 This is a useful approach because it allows you to review specific notes without having to read back through the document. 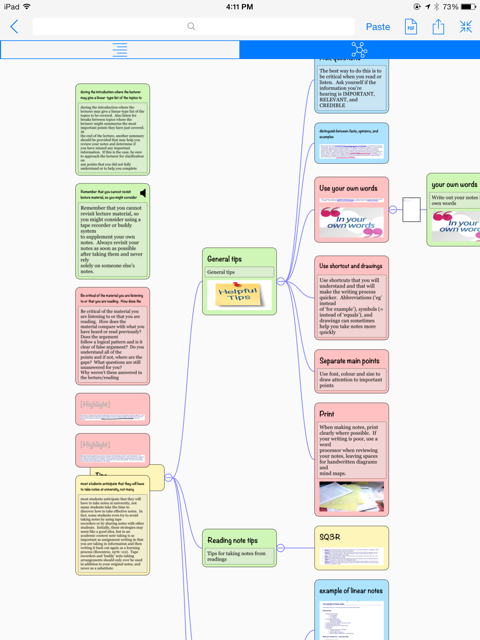 The review feature also puts notes into a mindmap where they can be rearranged and resized. This feature alone saves lots of time and tapping, and provides yet another way to review content. Inside a document, you can tap on the bottom-right button and get a pop-up window of all the notes in every document in MarginNote or just the notes for current document. If you opt for the full version of MarginNote allows you to export your mindmaps, outlines, and other pages of the document to PDF. 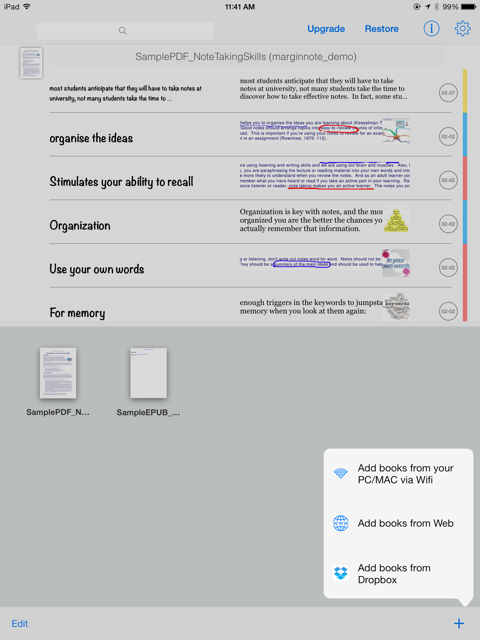 Documents can also be shared as .marginnotes files for other MarginNote users to open and use. 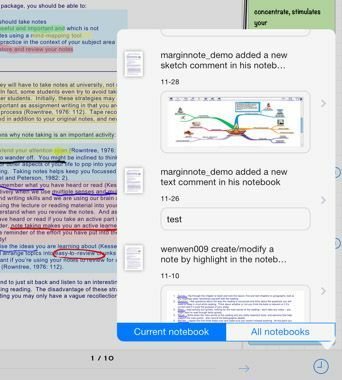 For students and researchers, MarginNote is a powerful study tool that contains features not found in other apps of its kind. You can download a free version of MarginNote, which limits the number of highlights you can add, and excludes the ability to export notes to PDF. If you find the free version of the app useful, the full version is well worth the price. 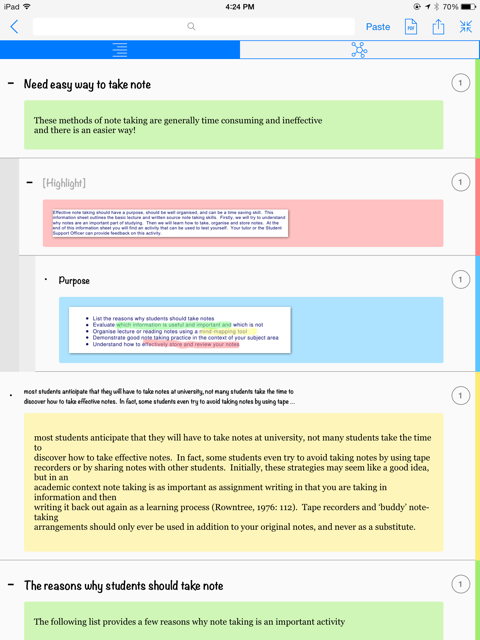 Let us know what you think of MarginNote, any alternatives you prefer and which features you would love to see added.